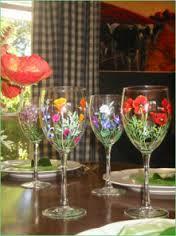 VisArts provides four wine glasses to paint and all the art materials (enamel paints, brushes) and instruction you need. No experience required. NO ALCOHOL PROVIDED.